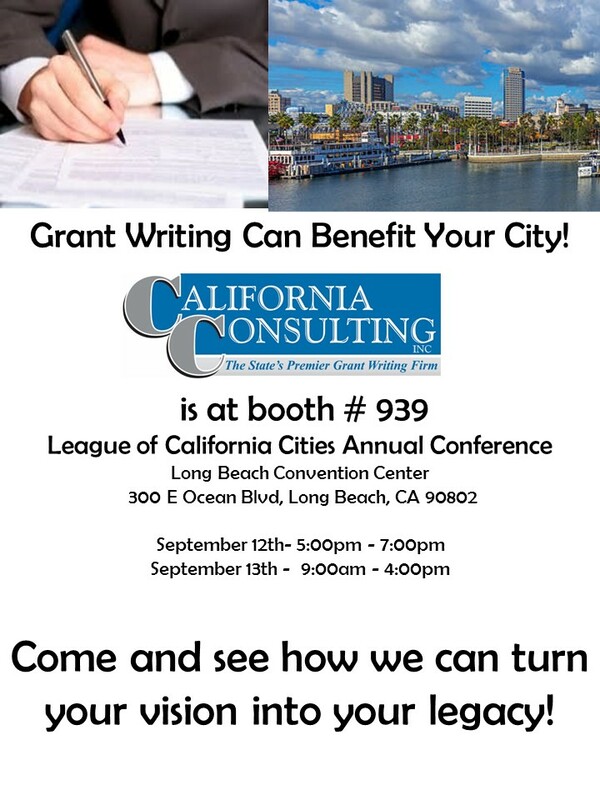 California Consulting invites you visit Booth # 939 at the League of Cities Annual Conference to find out how Grant Writing can turn your vision into your legacy! - California Consulting, INC.
California Consulting invites you visit Booth # 939 at the League of Cities Annual Conference to find out how Grant Writing can turn your vision into your legacy! California Consulting is pleased to announce the Municipal Grant Opportunities List for September of 2018. Please click here to view.